Many people remark on the homely and welcoming atmosphere, the moment they walk through the front door. This is because our residents’ needs and wishes come first in The Priory. We provide care and assistance where necessary and company or privacy as desired. We deliver this in an informal atmosphere, knowing that residents want to take a full and active part in making their own decisions. The Priory is a large Edwardian house, listed by English Heritage as a “fine example” of the period. Originally built in the early 1900s, it is a stunning timber framed property with a delightful south-facing panelled drawing room set in its own gardens in a quiet residential area of Chippenham. Yet it is only around 1/2 mile from the town centre of Chippenham, a bustling county town. In 2009, The Priory was extended to develop The Cloisters, a selection of apartments designed with flexible living accommodation. Each of the five apartments offers a generous living room and bedroom with their own kitchen and bathroom. Within The Priory, the majority of our bedrooms are located on the ground floor and they all are fitted with a call system, a smoke detector, personal safe and have en-suite facilities. Telephone and television points are also available in all of our rooms. 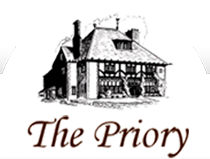 We are extremely proud of The Priory and our team. We understand that choosing a care home can be a difficult decision and that is why we invite you to speak personally to our Care Manager to find out more about The Priory.